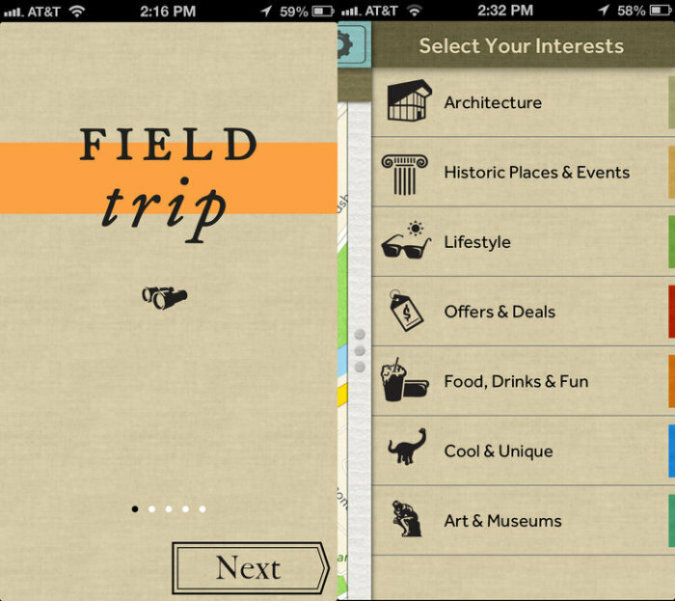 Long an Android only app, Google’s Field Trip finally arrives on the App Store today. The app works by silently running in the background all while finding interesting and unique things around you. When it finds something, it will alert you about it and bring up relevant information regarding the find via a digital card. If you’re a bluetooth headset user no worries, the app will read the information to you wirelessly. What makes Google’s Field Trip app work so well is that it aggregates information from a variety of sources like Arcadia and Historvius for local history and Thrillist, Zagat, and Eater for some of the best places to eat and drink. In addition to history and restaurants, it also aggregates information to you for unique stores and little hidden gems near your location. One of the more unique features is that it can sense when you are driving and can “talk” you through some of the nearby interesting places almost like a virtual tour guide. The app is free and is available on Apple’s App Store now.